Got your 360-degree marketing video ready to go? What about that virtual reality how-to? Time to get ready for the future. Many consumers devote (what seems like) 24/7 of their time to holding a mobile device in one hand and dealing, with the other, with a million different companies vying for their attention on the web. Related: By 2019, Video Marketing Will Be Everything. You've Got to Get in on the Trend — Now. If yours is one of those companies, you'll have to break through the noise by employing video marketing to grab all those mobile users' attention. 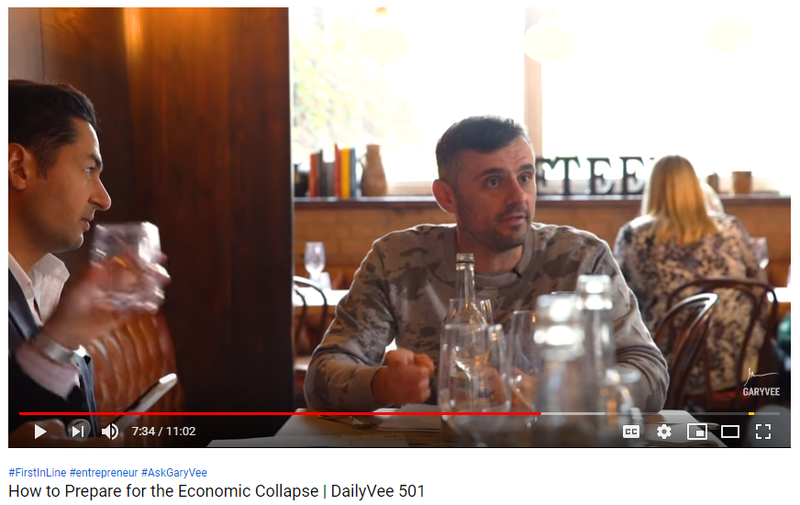 Gary Vaynerchuk does vlogging well with his Youtube channel, which has nearly two million subscribers. His videos are a mix of vlogging the behind-the-scenes of his daily life and doling out valuable business advice. Vlogging is a great way to grow your audience and your business since it’s so affordable. Technically, all you need is your smartphone, editing software and a Youtube channel. Related: How to Leverage Video Marketing in Business? With Instagram Live, Facebook Live and live streaming on other platforms like Youtube and Twitch, live video for business will become even bigger in 2019. In fact, according to a Facebook report, daily watch time for Facebook Live broadcasts grew four times over, over the course of a year. With live video, your viewers feel that you’re speaking directly with them; and they're typically going to chime in on the conversation by commenting and asking questions in real-time. The added personalization in live videos often encourages viewers to stick around longer and be more engaged, too. Companies can use live video to show off new products and offer tutorials and demonstrations, webinars, question and answer sessions, interviews, live tours and more. This simple and free way to boost brand awareness is one that more businesses will start taking advantage of. Since 360-degree videos were introduced to the market, they have shown themselves to be a truly unique and interactive experience; and their use in marketing will continue to grow next year. These videos are an awesome way to immerse your audience members in the feeling that you’re trying to convey and give them a taste of a particular experience. 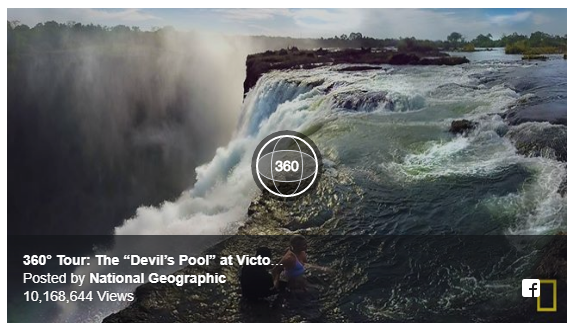 Three-hundred-sixty degree videos are obviously great for travel-centric companies, like National Geographic in the example below, but they can also be utilized by a number of other industry segments, including real estate, retail, events and promotions, museums and galleries, car dealerships and more. If you want to create 360-degree videos for your business, it’s not as difficult as you might think. All you have to do is invest in a good camera, a GoPro for instance, and stitch your 360-degree video together using editing software. Virtual reality is still an emerging trend for many companies, but in 2019 it can be expected to become even more mainstream, as well as more accessible for many businesses. According to Statista, by 2020, the economic impact of virtual and augmented reality is predicted to reach $ 29.5 billion. Lowe’s is an example of a company that used virtual reality to teach its customers how to remodel their homes. Wannabe DIYers could put on a VR headset and learn how to tile, paint a fence and more. 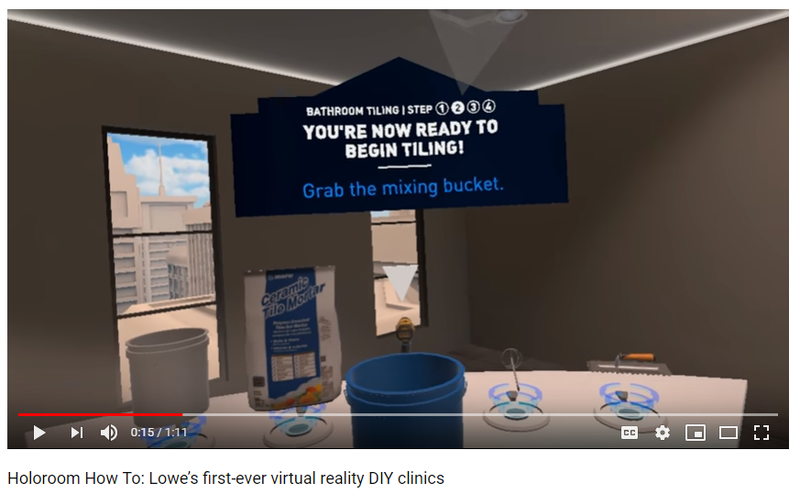 Lowe’s even states that people who went through the virtual reality lesson had 36 percent better recall than those who just watched a YouTube tutorial. Virtual reality is being adopted quickly; and with so many amazing uses, it will only continue its growth in 2019. Ready, set, action! Now that you’ve got the scoop on the hottest video marketing trends for 2019, your business will be able to get ahead and stay ahead of the competition next year. Remember to always create entertaining and useful videos and you’ll be able to capture the attention of your audience every time.